Steven Pawlowicz and Melissa Kmetz from the ICATT (Industry Consortium for Advanced Technical Training) apprenticeship program established by the German American Chamber of Commerce Midwest gave a presentation to 20 high school seniors at CMSA on October 4th, 2018. Their presentation detailed the program during which high school graduates (or GED recipients) can apply, be connected with a high-tech manufacturer or company, which will then employ them part time and pay for their courses towards an industry-specific certification and an associate degree. Once the program is thcomplete, the employer guarantees a position for the apprentice. ICATT partners with around 50 companies throughout the Midwest. 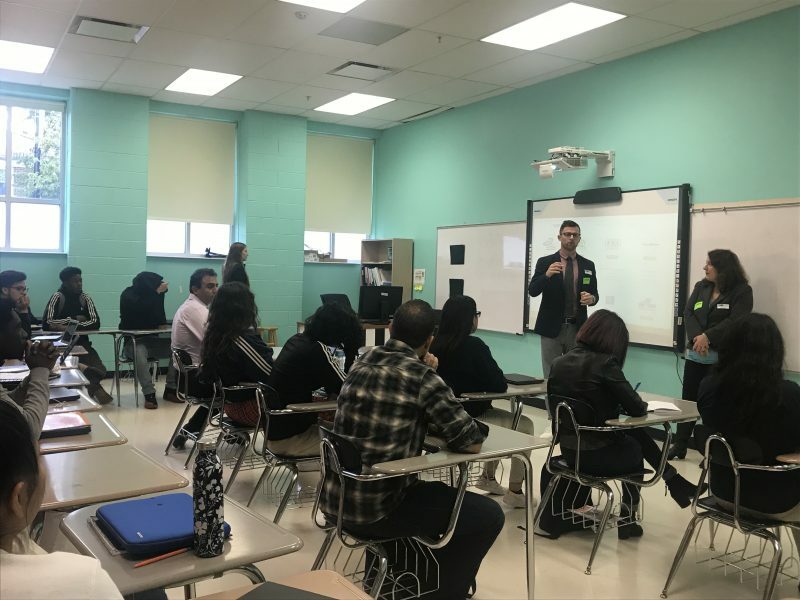 Many of the CMSA seniors reflected on the presentation and conversations with Steven and Melissa and expressed that they were interested in the program because they would earn a degree and money on top of gaining hands-on experience. Future Institute hosted the ICATT team at CMSA, and two of the school’s Ambassadors gave them a tour of the school. Melissa and Steven were particularly interested in the school’s robotics lab. Future Institute strongly encourages those who are interested in this apprenticeship program and career path to contact the staff or directly contact ICATT for more information.